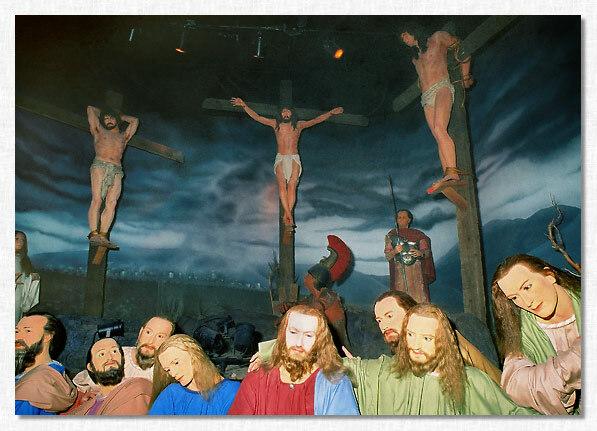 The Last Supper and The Crucifixion - Hollywood Wax Museum. "The Last Supper" and "The Crucifixion"
Hollywood Wax Museum - Hollywood, CA. Thanks to Ben and Sylvie Minor for their assistance; without it, this web page would not have been possible. The Last Supper and The Crucifixion - manipulated photograph by Eric Shindelbower. Photo may not be reproduced without written permission.